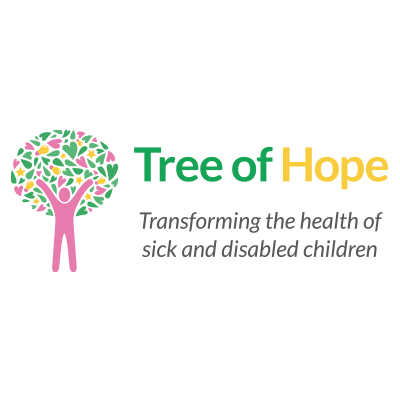 Here at the Tree of Hope we are always interested in finding out about new procedures and interventions to keep all of our families up to speed and to provide that extra level of information as to what’s out there and available for our children. One of our campaigns Leg it for Lewis came on board with us in 2017, looking for fundraising support for Selective Dorsal Rhiztomy (SDR), which isn’t available on the UK healthcare system. Lewis Duncan is nine years old and lives in Aberdeenshire, Scotland with his Mum, Sarah, Dad, Graeme, his two brothers Caleb and Aaron and his (almost brand new) baby sister! Lewis suffered a lack of oxygen at birth due to a prolonged labour and he was later on diagnosed with Spastic Dyskinetic Quadriplegic Cerebral Palsy and Epilepsy. Lewis has always relied heavily on everyone around him for support and his dream of becoming a racing car driver, has meant that he’s always been super determined to be as independent as he possibly can be! The family were looking to fundraise for SDR with Dr Park in St Louis, but due to Lewis’ Dystonia being too severe, Lewis was turned down as a suitable candidate. These sentiments were supported in SDR centres here in the UK too and all hope was seemingly diminished, until Sarah found out about a procedure called Selective Percutaneous Myofascial Lengthening (SPML) a type of outpatient surgery under general anaesthetic for the treatment of the spasticity and tight tendons in children with Cerebral Palsy. This is a minimally invasive procedure, which involves tiny injections – a needle similar to the size used in eye surgeries – into the Myelin Sheath surrounding muscles which are effected by spasticity. Dystonic children can benefit from SPML by having a nerve block – an injection for over activity of nerves that contribute to stiffness of the hips and arms. The block takes the nerve into a more normal state by dissolving the myelin sheath but the nerve itself remains in tact. Lewis was accepted as a candidate in the University of Texas, under the clinical care of Dr Yngve and the family travelled out in September for the procedure. Since returning, we wanted to catch up with the Duncan’s to see how the procedure went and to see how Lewis is doing! Sarah described Lewis’ progress as “fascinating” since the procedure. “Lewis immediately looked more relaxed after coming out of the procedure and within a couple of days”. Sarah explained that once he was over the sedation, he was back to his normal self, he wasn’t sore and didn’t have any of the usual post-operative exhaustion you would usually expect. On asking Sarah how Lewis has been since the operation, Sarah explained that Lewis is much happier in himself and is far more relaxed. Before the surgery Lewis was more or less non-verbal and since the operation his speech has improved given that he hasn’t had to concentrate as much on controlling his arms and legs. He doesn’t need to be lifted anymore and transfers are generally much easier. The post-operative physiotherapy is essential to ensure as effective development as possible. Lewis attends Walk this Way every 2-3 months which is hoped to increase this year. The therapist at Walk This Way is thrilled at Lewis’ development and he family follow a bone strength training programme every day at home to ensure he is getting as much therapy as possible, to reduce the chances of deterioration, in what Dr Yngve advised would be in about 3 years’ time, when Lewis starts adolescence, similarly to SDR. His therapist intends to have Lewis walking fully with sticks by the end of this year. Lewis can now sit on the floor with his legs out straight and he can sit cross legged by himself which wasn’t at all possible before due to the tightness in his muscles, which is why Dr Yngve carried out the lengthening in his groin area. We were also interested in finding out how the hospital generally were with the family and their experiences with them, as this can make the world of difference to families wanting to explore options for their children. Sarah explained to us that the hospital had been very good and she was very impressed with the efficiency of the whole team. Sarah explained that the hospital were really easy to contact. Belia, Dr Yngve’s secretary was really helpful and was very efficient at getting the paperwork out etc. These views were fully supported by Dr Caren Thorne, who is a member of the Tree of Hope medical committee and her investigations were too very positive. Sarah mentioned that “they were really flexible bearing in mind the time difference and were very accommodating”. Since the family’s return there hasn’t been any communication with the hospital since the procedure as there simply hasn’t been a need given that things are going so well so far. Dr Yngve requires a video call one year after surgery which is standard procedure, unless a return visit is necessary. If you think this is a procedure worth exploring for your child, join the SPML – Selective Percutaneous Myofascial Lengthening Facebook group today to connect with other parents and find out more information!